The Tackett's Mill Commuter lot is at the intersection of Minnieville Road and Old Bridge Road. Riders lineup in two locations, one going to the Pentagon and other goes to Rosslyn and Crystal City. There is also a overflow parking lot across this lot in the shopping complex, but make sure to park only in the commuter parking spaces. Tackett's Mill Commuter lot has about 530 Spaces. 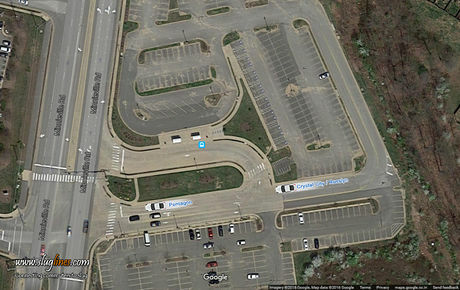 Overflow parking is across the lot in the shopping complex or called McDonald's lot with 120 spaces. Someone left an IPhone in my Red Chrysler Pacifica last week. Please identify yourself through this media, so I that can give you back your device. Please be able to tell me where you left the phone and the description of the device. Thanks in advance.